New cabinet is unbeatable in the daily use in the yard, agile and fast in the city, in transfers. Proposed bridge configurations with a single or twin wheels, is a light commercial vehicle, designed and built to work hard. It is the ideal solution for installations boxed fixed and titling. The structural strength is guaranteed by a chassis frame which ensures excellent durability and represents the best support for each type of construction. The rational design allows you to offer a completely flat upper surface, facilitating the work of fitters. The gearbox is designed for the application of a power take-off flange with torque of 180Nm maximum extractable. 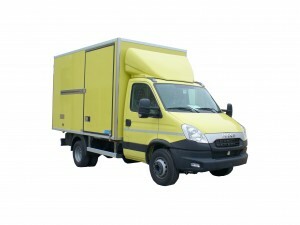 F.lli Benaglio is specialised into the installation of cold storage for the Iveco Daily 70 van . Contact us without obligation.